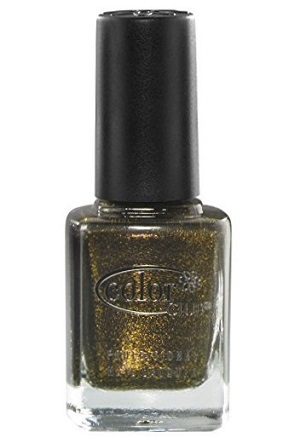 Color Club Nail Polish, With Abandon, 872, .50 fl. oz. Semi-sheer dark brown nail color with olive, bronze, and tarnished gold shimmer. Color Club Wild At Heart Collection.